Insulated driver eliminate the electric shock accidents. Suitable for electrical wiring and connection tightening. 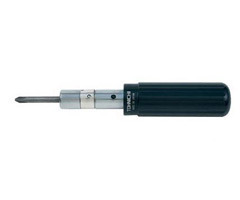 Other insulated torque wrenches and drivers are supplied on request. Preset version RNTDZ is also available (2011.09.21-).